Celena Payne was so done with romance after her most recent ex ghosted her. Now the focus was on her career until Karim Holt moved back to town. He was too busy for a relationship with caring for his ailing grandmother and opening a new business. But a chance meeting between the two sparked an unexpected romance. Their lives were altered from this undeniable chemistry. I was smitten with Celena and Karim's ship! Author Nicole Falls has once again wrote a good read featuring realistic characters of color. I would have rated this novel a solid five (5) hearts if it was edited better. The typos were a distraction. But if you can skim over these errors, Smitten is the choice if you're in the mood to read a fun romance. Reading it is like a conversation with your close friends. "Girl, let me tell you what happened!" 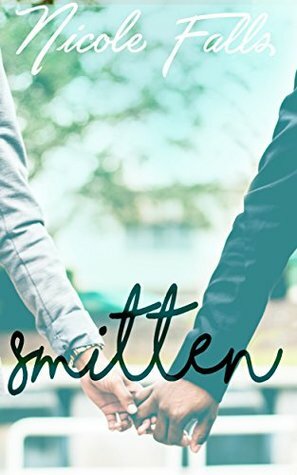 Smitten is available now for less than $3.00 or read free with Kindle Unlimited. Go ahead and download now, bookhearts!